May arrived with a bang! It was “Lilac Time”! 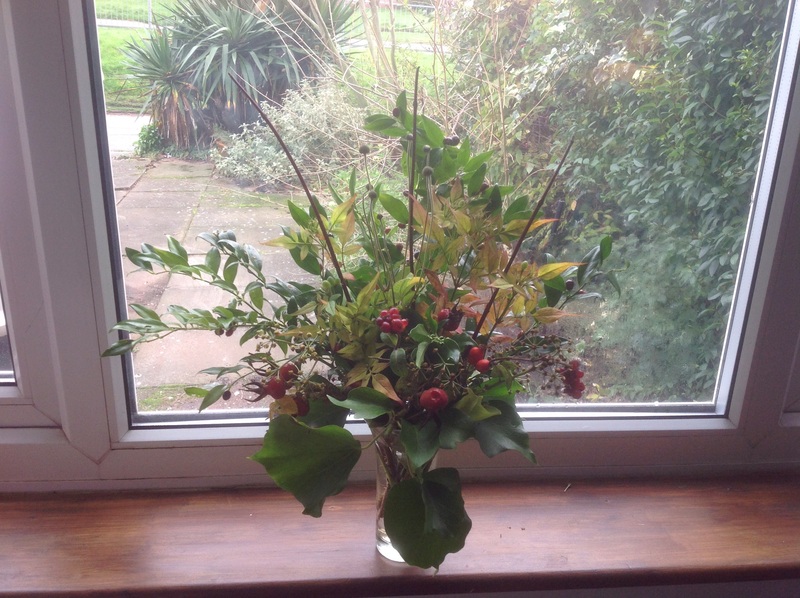 Such an easy vase to create – this one I’ve done several times before. 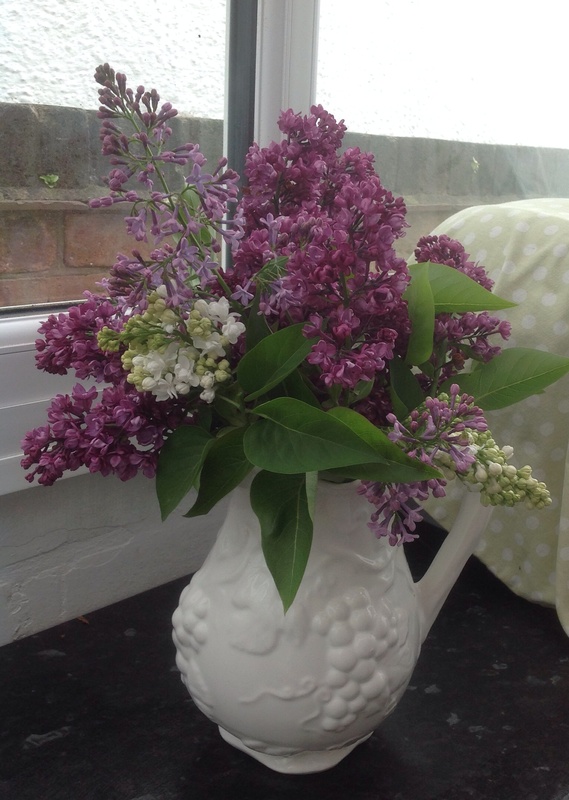 It comprises of the blooms and leaves of three unknown varieties of lilac, in a favourite jug. 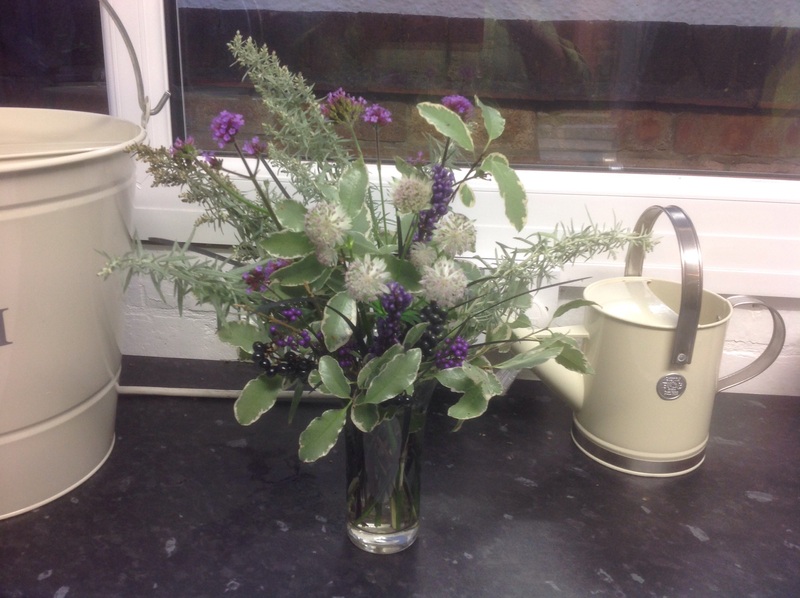 Two are from our garden – the white and the lilac, and the purple one is from our neighbours garden (with his blessing!) 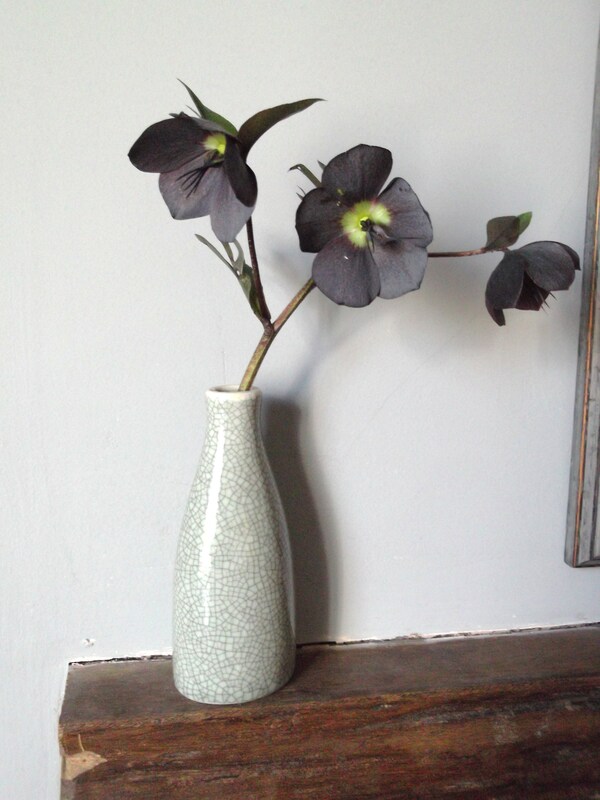 This is easily my favourite vase! 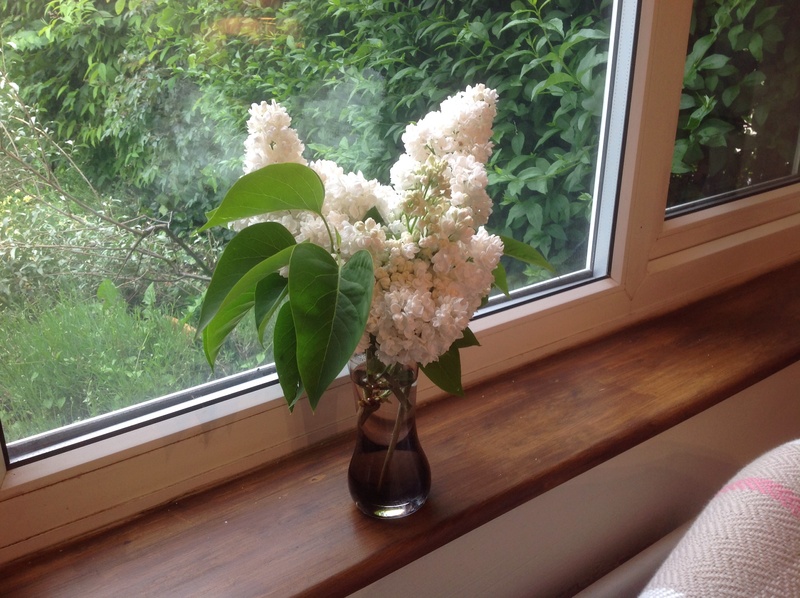 I tried to repeat this, with purely the white lilac, in a smoky glass vase. There were other contenders other than lilac. 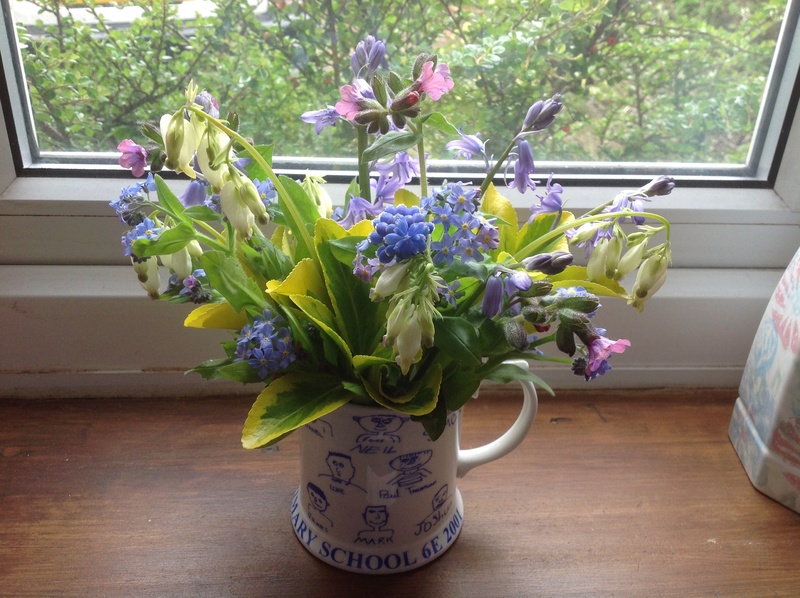 A simple pot, that packed a hefty scent! Had to be done! 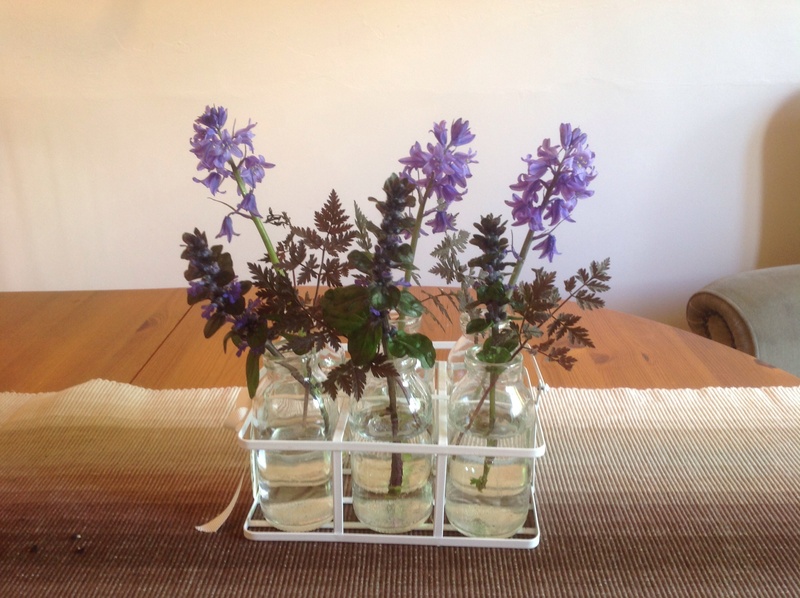 As you can tell from the title, I used the last of the bluebells, along with Ajuga flowers, in my milk bottles. 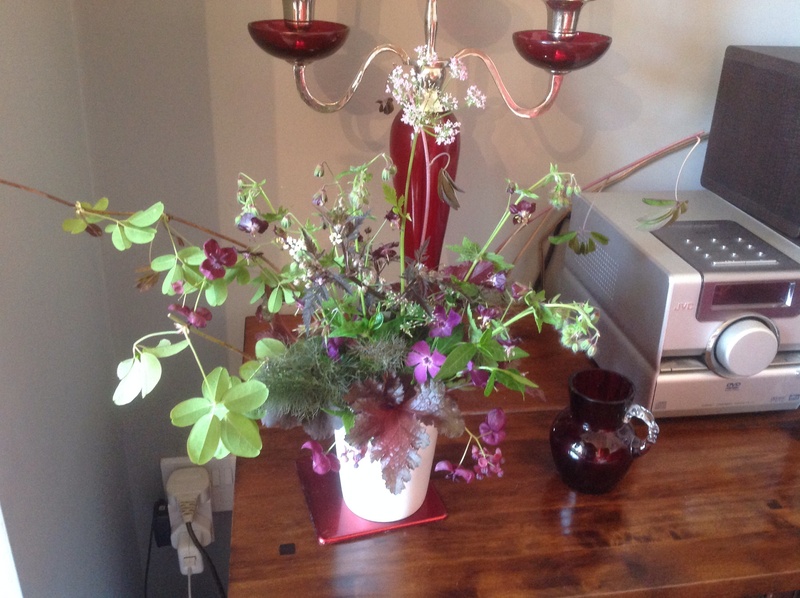 I picked up the latter’s dark leaves with some sprigs of Anthriscus “Ravenswing”, for a bit of leafy texture. This, I loved! So wild and floaty, but it was short lived. 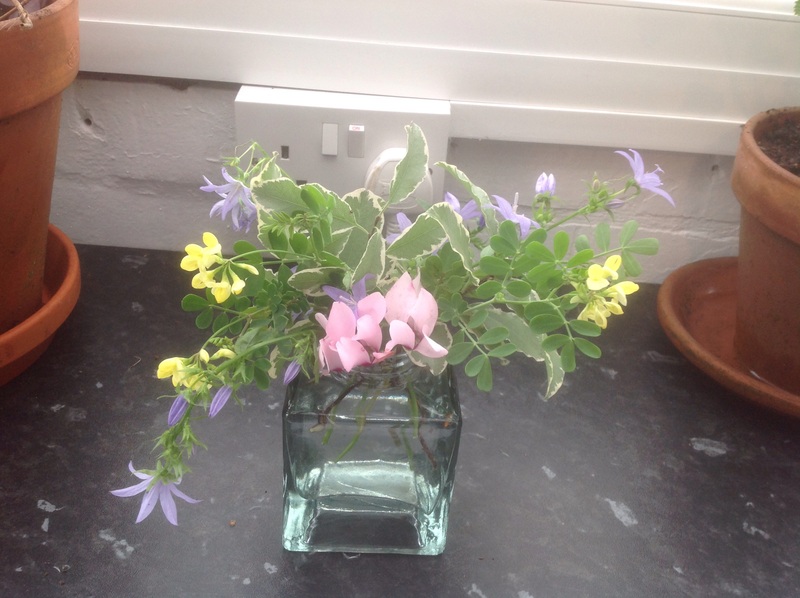 They were only wild in the confines of our garden! 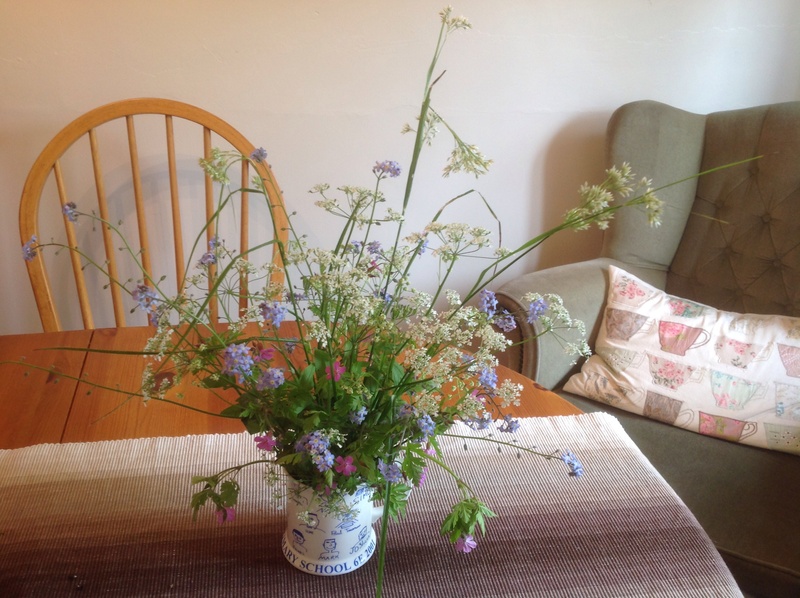 I chose blue Forget-me-nots, which were everywhere, pink Herb Robert, a wild form of geranium, which I introduced myself, and lots of frothy white Cow Parsley, which made a welcome appearance. 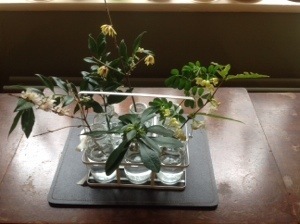 I added in some white flowering stems of Luzula nivea, to add a grassy touch. A beautiful effect, but over too soon! The rest were the “A+E” contenders! 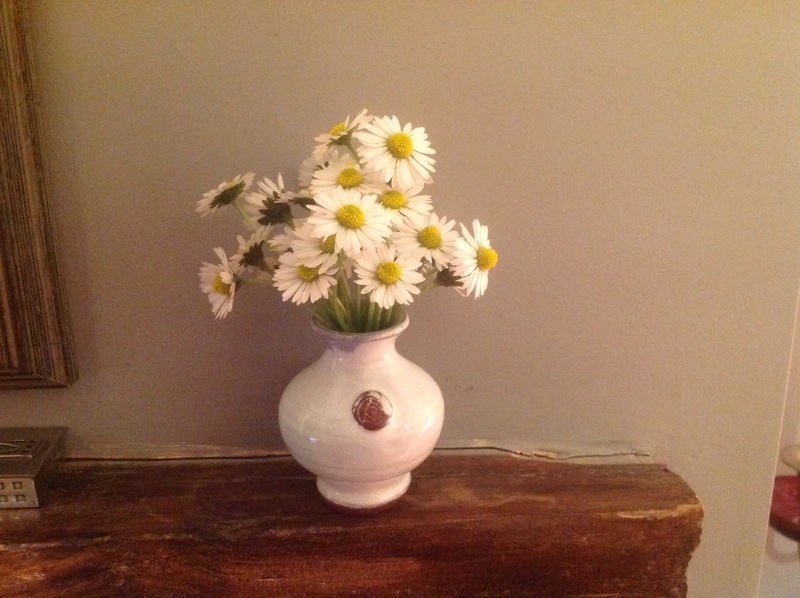 I was admiring the daisies, while I had five mins, before getting the lawnmower out. They just had to be rescued! 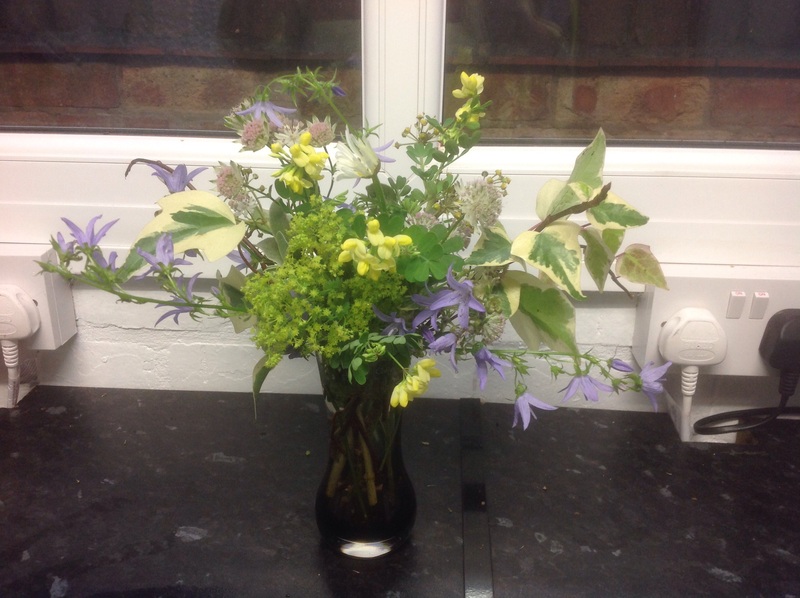 This entry was posted in The Cuttings Calender and tagged Ajuga, Bluebells, Cuttings, Daisies, Lilac, Lily of the valley, Milk bottles, Wild flowers on June 9, 2014 by thelonggardenpath. 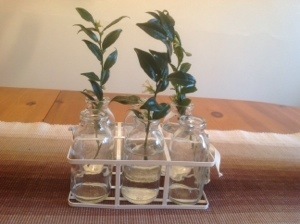 Another round-up of cuttings to peruse! 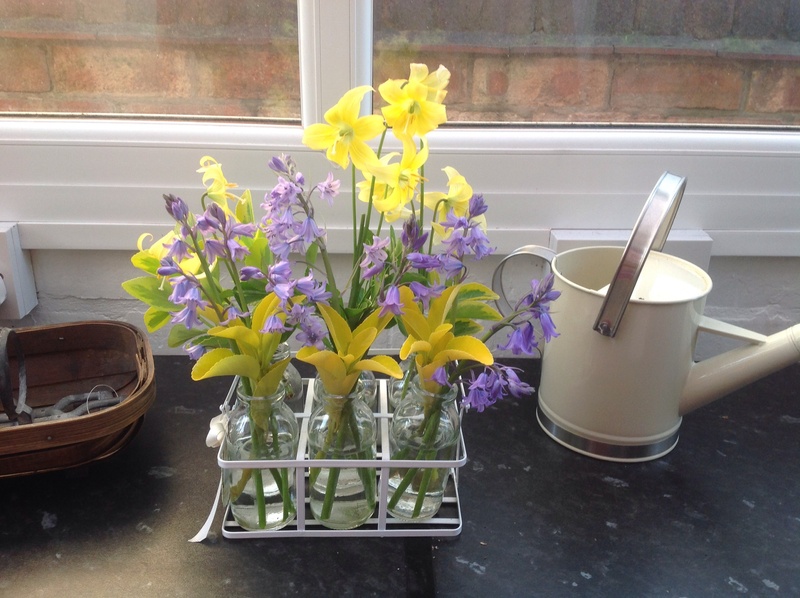 “Daffs” came out top for me. 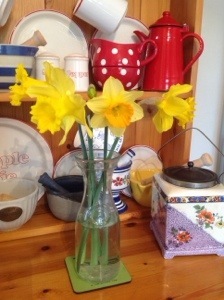 Just a simple collection of odd blooms, but I find daffs in a vase to be the cheeriest of displays. 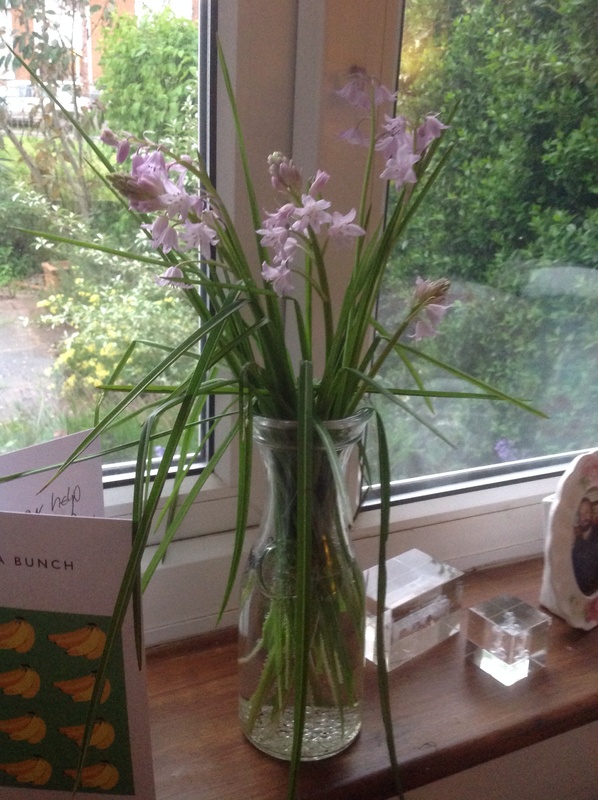 Always a “must have” in our house, even if they’re bought or grown indoors as bulb arrangements, but so much nicer cut from the garden! 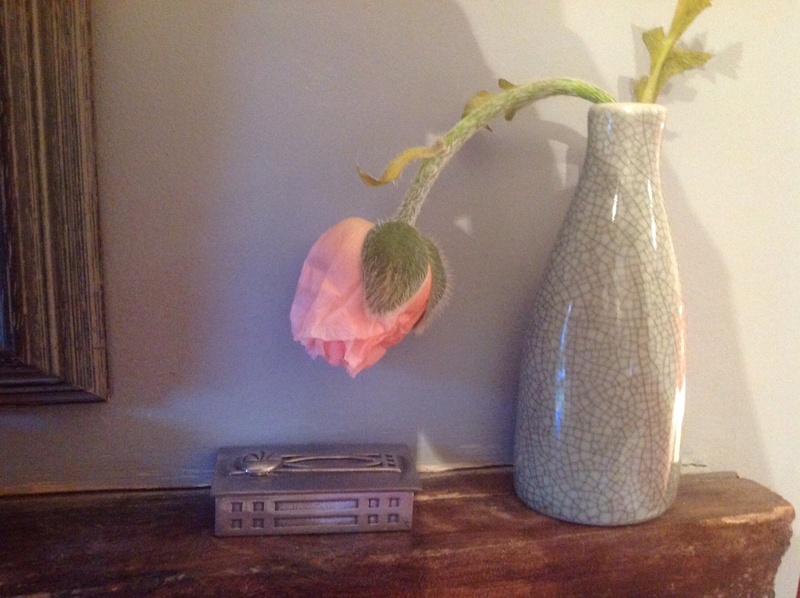 The setting of my simple vase, on our crockery dresser, makes the picture complete. 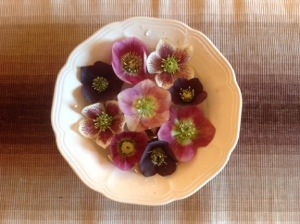 The other contenders are our Hellebores. 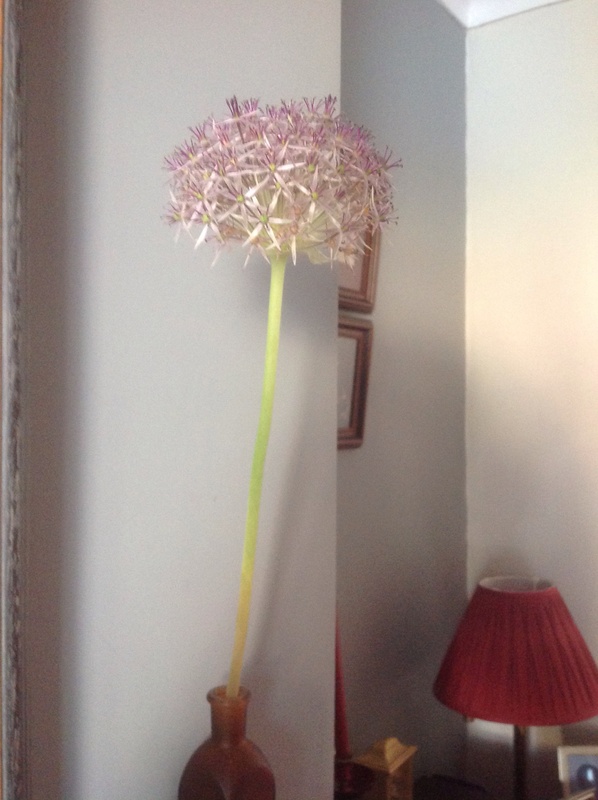 A well recognised way of displaying these winter beauties, as you can more easily appreciate the beauty of the blooms, which normally hang their heads from view. It lasted well, too, for many days. 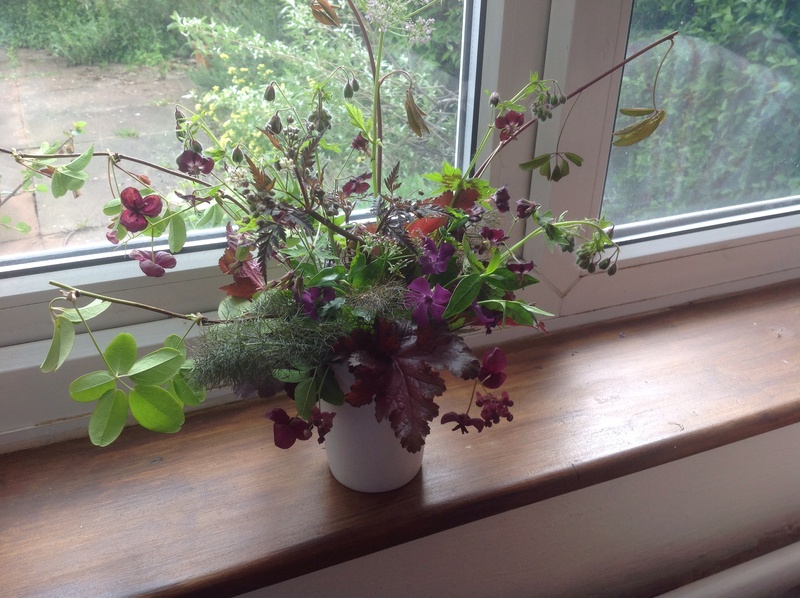 And it showed all the varieties we have in the garden. 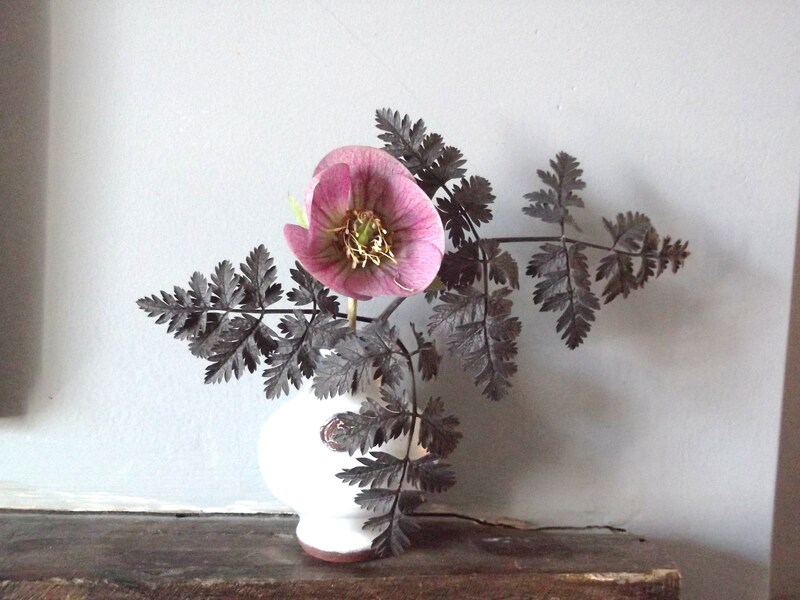 A beautiful, smoky black hybrid, which normally resides in our “Black & White” beds. This lovely, pink one, here displayed with a fresh, new leaf of Anthriscus “Ravenswing”, is normally making itself at home in the “Woodland”. The leaf just sets it off beautifully. 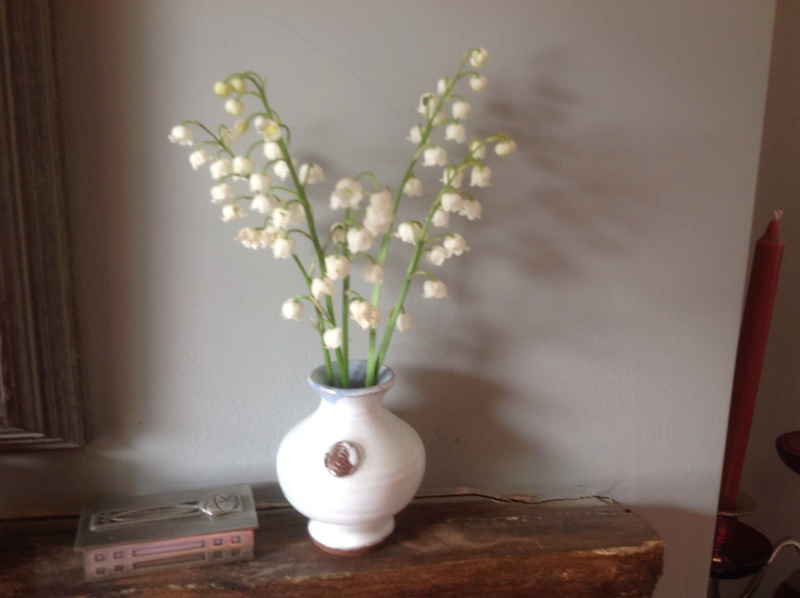 These last two small, vases, were displayed together at either end of our mantle shelf. 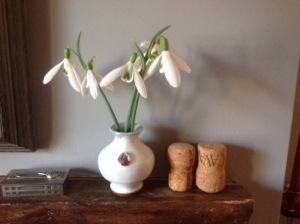 I think they look just splendid against the grey wall! 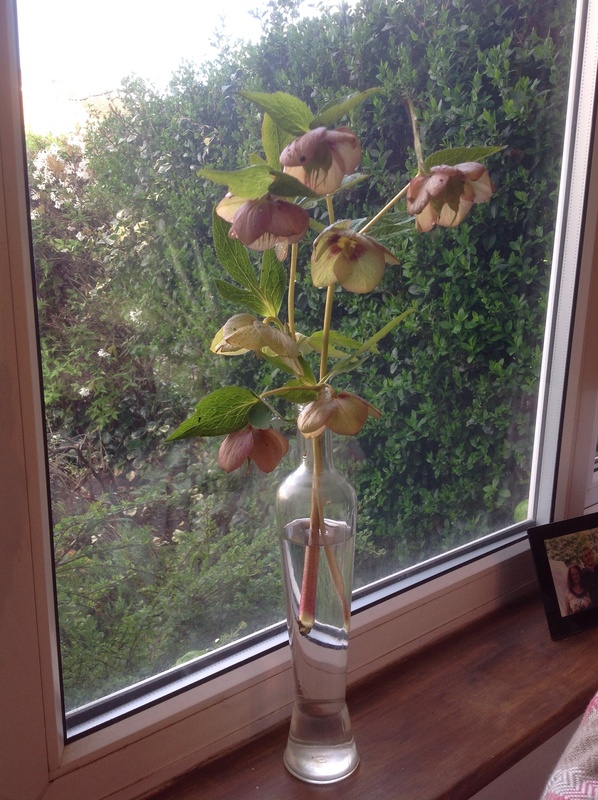 This entry was posted in The Cuttings Calender and tagged Anthriscus, Cuttings, Daffodils, Hellebores on April 6, 2014 by thelonggardenpath.